The mere image of this Deer exemplifies a peaceful image... resting and poised. The essence of this beautiful carving is gracefully understated. 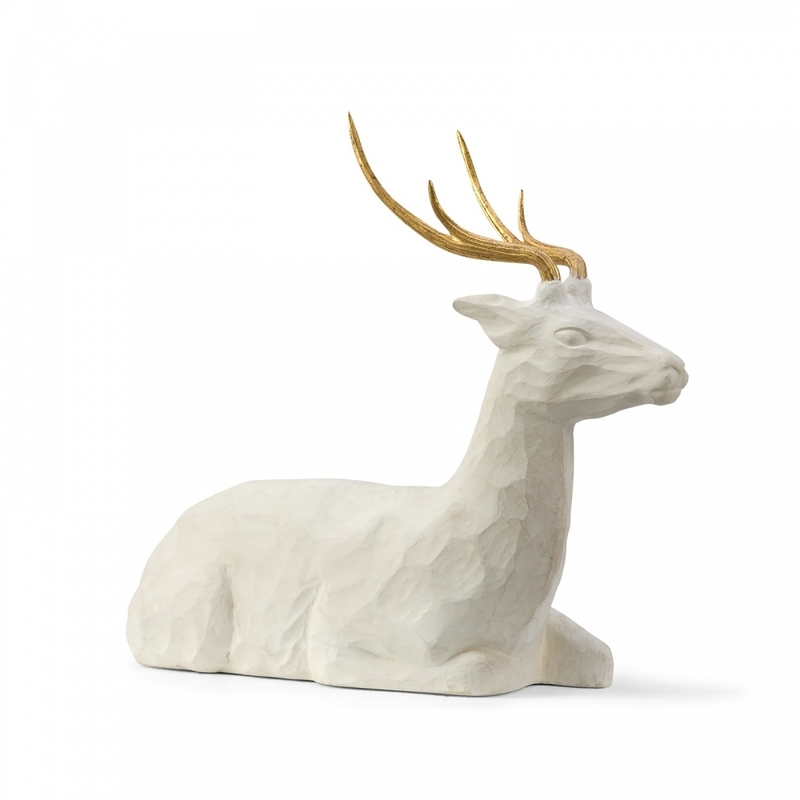 Carved of stone and adorned with leafed antlers to exhibit a true artisans attention to detail. BELLE!